Wong is the subject of "Joshua: Teenager v. Superpower"―a new documentary now available on Netflix. 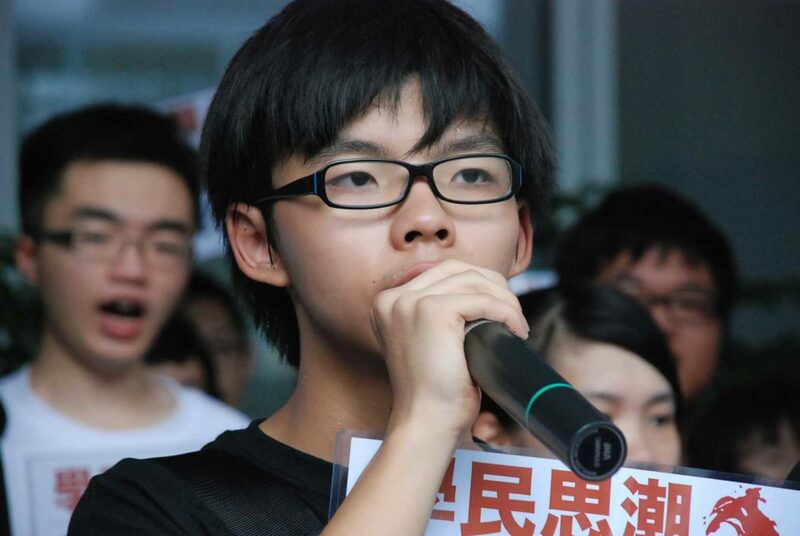 At 20 years old, Joshua Wong has gained international renown as Hong Kong’s most prominent democracy activist. Now, a documentary about him — Joshua: Teenager vs. Superpower — is available to millions of worldwide viewers on Netflix. Wong first became involved with activism in 2011, when he helped establish Scholarism, a group that protested against the Chinese Central Government’s attempts to impose a pro-China “moral and national education” curriculum onto Hong Kong students. With Wong at the helm, Scholarism rallied 120,000 Hong Kongers against the curriculum and got the government to back down. In 2014, Wong rose to further prominence for his leadership in the Umbrella Revolution, in which Hong Kongers protested against a Chinese government decision that restricted Hong Kong’s ability to elect its own leaders. In an attempt to channel the Umbrella Revolution’s spirit into concrete political change, Wong went on to found Demosistō, a new political party. 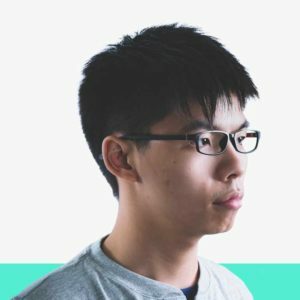 In elections late last year, 23 year-old Demosistō candidate Nathan Law won a seat on Hong Kong’s Legislative Council (Wong himself was too young to run) with the second-highest vote tally of all candidates. Joshua: Teenager vs. Superpower chronicles this entire six-year journey by juxtaposing footage of protests with intimate portraits of Wong and his fellow activists. Cinema Escapist caught up with Wong recently to get his thoughts on the documentary and its broader socio-political context. When did you first meet the crew behind Joshua, Teenager v. Superpower, and what made you want to get involved with the documentary? I first met the crew behind Joshua: Teenager v. Superpower around six years ago, when I was the leader of an activist group with just ten members. [The crew behind the documentary] were the first ones who decided to continuously follow my story and involvement in different movements. Honestly, I never expected things to go so far. Six years ago, there was the anti-brainwashing (“moral and national education”) movement. In 2014, there was the Umbrella movement. Then last year, we founded a political party and organized for the [Hong Kong legislative council] election campaign. All of this has been like a miracle, like turning the impossible into the possible — and I hope that can be an inspiration to people all around the world. You’re arguably the most prominent face of Hong Kong’s contemporary pro-democracy movement, and, with a title like “Teenager v. Superpower” attached to your name, it’s like you’re the David in a David versus Goliath struggle. Do you feel like that’s an accurate metaphor? I know that the documentary probably seems like it has the framework of a David v. Goliath struggle — and that probably enhances its commercial appeal. But to me, it’s more like a personal story. Overall, I hope that my presence as one of the main characters of the documentary, within such a framework, allows people to better sympathize with our movement’s message. Especially for Western audiences who have no idea about what’s happening in Hong Kong — even if they can’t get a full picture within 78 minutes, hopefully such a framework helps raise awareness and motivates them to care more about democracy. The past six years covers almost your entire life as a teenager. How does it feel to watch a film that not only documents a political movement, but also your own coming of age? Yeah, this six-year journey the documentary recorded no doubt is almost my entire life as a teenager. Besides being involved in political movements, as the documentary shows, it’s been hard to have a private life. It’s real easy to be recognized on the street, or be exposed to media pressure from the pro-China camp. But again, I hope that my challenges can inspire more people — especially after Brexit, Trump’s election as president, and the rise of populism in Europe. There might be more instability during this era, but it’s time for us to have faith in political struggle and believe that street activism can still make a difference. On the topic of film, it seems that Hong Kong’s film industry has changed dramatically over the past six years as well, with increasing mainland influence. Do you see Hong Kong’s film industry as being another battleground or dimension in the struggle for Hong Kong self-determination and identity? Hong Kong’s film industry has definitely changed dramatically and seriously over the past six years. Filmmakers need to obey the mainland Chinese market to get more Chinese money — the phenomenon of “red capital”. To advance their personal interests and for personal benefit, actors like Jackie Chan have endorsed the Communist Party, or even become members. So I’d say it’s extremely clear that the Hong Kong film industry will be another battleground or dimension in the struggle for Hong Kong’s self-determination and identity, because film helps uphold a sense of belonging. [My previous point about film upholding a sense of belonging] speaks to why I think Ten Years is quite a meaningful film. It projects the awareness and care that people in Hong Kong have about their situation, not to mention their frustrations. Ten Years focuses on a set of diverse stories, and touched a lot of people [within Hong Kong]. But it’s very different from Teenager v. Superpower, which focuses on the journey of activists over six years. What kind of impact do you hope Joshua: Teenager v. Superpower can have for Hong Kong? I hope Joshua: Teenager v. Superpower can attract more support from the international community for Hong Kong. Many Western audiences have no idea that there are many activists and supporters of democracy movements living in Hong Kong. Besides awareness about Hong Kong’s democracy movements, what do you think audiences — especially young people — outside of Hong Kong can take away from the film? I hope that young people can, after watching this documentary, realize that we can take action if we feel depressed or dissatisfied with traditional politicians and institutions. Instead of being silently dissatisfied or resorting to purely emotional expressions, we can join together and use techniques like street activism to make some changes. Beyond that — apart from being dissidents, we can also be reformers within institutions. The documentary ends on the note of Nathan Law (one of Joshua’s fellow activists) being elected as the youngest lawmaker in Hong Kong history. I hope that can inspire people all around the world to realize that it’s time to rally for a fight to win back democracy, to win back the right to determine our future. Joshua: Teenager vs. Superpower is available for streaming on Netflix.